I have a MacBook Pro (Retina, 15-inch, Mid 2014) running on MacOS 10.14.3 (18D42) and since some time I have been unable to connect to any 5GHz WiFi networks while 2.4GHz networks from the same routers are ok. 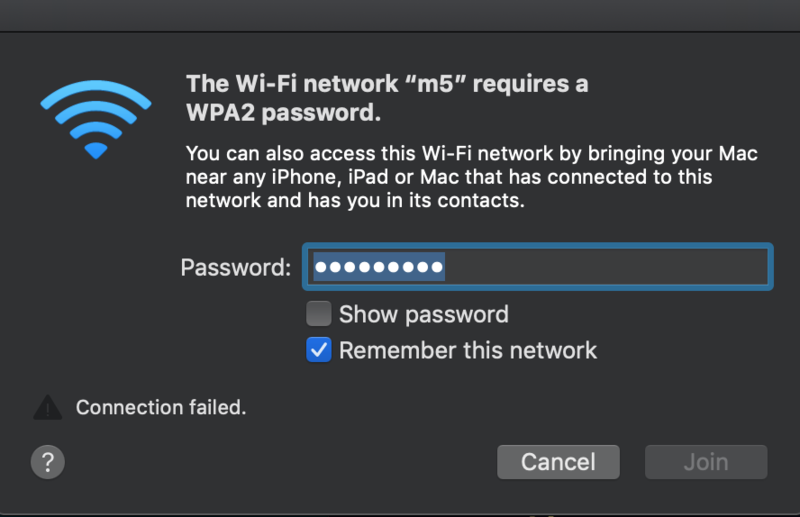 The Macbook is able to see the network; however, when I try joining the network, and I enter the password I keep getting an error "the wi-fi network requires a WPA2 password". Interestingly, I get the same error when the authentication method is set to "Open". I am 100% sure that the password is correct as I've tried several times (also setting up the 5GHz on different routers). The networks are working (e.g. from my iPhone, Android phones). 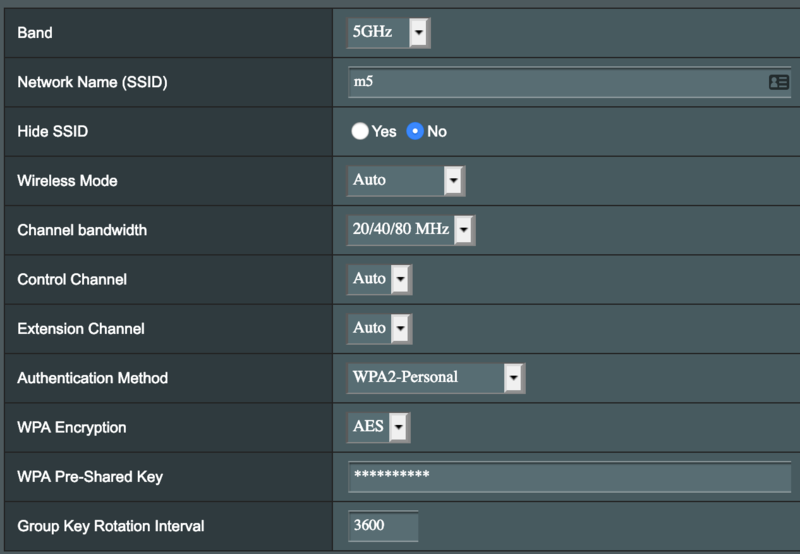 Lastly, below are some of the details of the network setup in my Wi-Fi router. Most likely your Airport Card has failed. 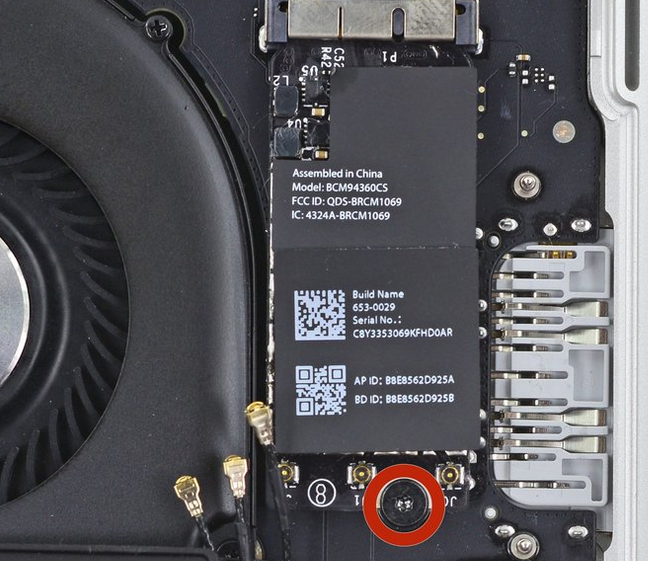 On your particular Mac, it uses the BCM94360CS custom SoC (System on Chip) that supports dual-band WiFi and Bluetooth. The critical part related to your issue is the "dual-band" WiFi; it uses two different radios, not one. So, it's completely plausible that one radio has failed (5GHz) while the other (2.4GHz) continues to function; this is what you're seeing. To verify that it's not a software issue, you should boot into Safe Mode (hold ⇧ Shift) and/or Recovery Mode (⌘ Command R). If the problem persists, it's a hardware issue. You'll just need a replacement AirPort adapter which is fairly inexpensive. It's also a fairly straight forward fix, basically remove the back cover, disconnect the Wi-Fi and Bluetooth antenna, then remove the AirPort card. Replace with the new one and reverse the procedure to reassemble everything. iFixit.com has an excellent step-by-step guide you can follow. However, if opening the back of your Mac is not your cup of tea, let a professional handle it for you. Not the answer you're looking for? Browse other questions tagged macos macbook network wifi airport . For 2.4GHz/5GHz wifi which is best for Apple devices: different SSIDs or same? MacBook Pro couldn't find wireless network while other devices can. How to fix that?